I hate to admit but I don't need cable tv. I love having it all those channels, but how many of those channels do we actually watch considering how much we pay to get those 700 channels. Yes, I like having those network channels to watch my favorite shows, ESPN to watch sports, and HBO to watch movies, but I really don't need ESPN 8 ("The Ocho"), CSPAN, Lifetime, Home Shopping Network, the Spanish channels (Telemundo), or any of the other 600+ useless channels that are simply a waste. The Apple TV allows you to free yourself from cable and the high cost attached to it. 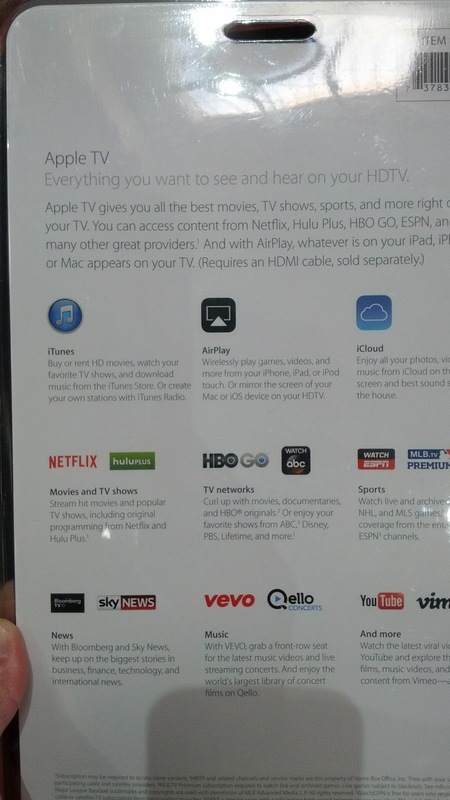 With the Apple TV, you can stream movies and shows using Netflix, Hulu, or whatever app you normally would use. At the end of the day, you'll be saving a lot of money every month. 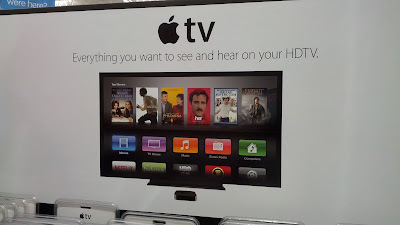 If you stop your cable service and get an Apple TV, it'll pay for itself within a few months depending on your plan. At least with the Apple TV, you can also watch movies that are on your iPad or iPhone to your tv and you can do it wirelessly. You'll be happy to get rid of your cable bill and free yourself from the tyranny of Comcast and DishNetworks. On a personal note, I absolutely hate Comcast customer service - they should be renamed Comcast customer no service. I was absolutely happy to no longer have Comcast in my life. The Apple TV bundle even includes a $15 iTunes gift card which I could always use also. 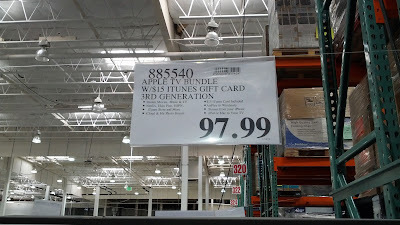 For the newest Apple TV, check out the 4th Generation 64 GB Apple TV also available at Costco. 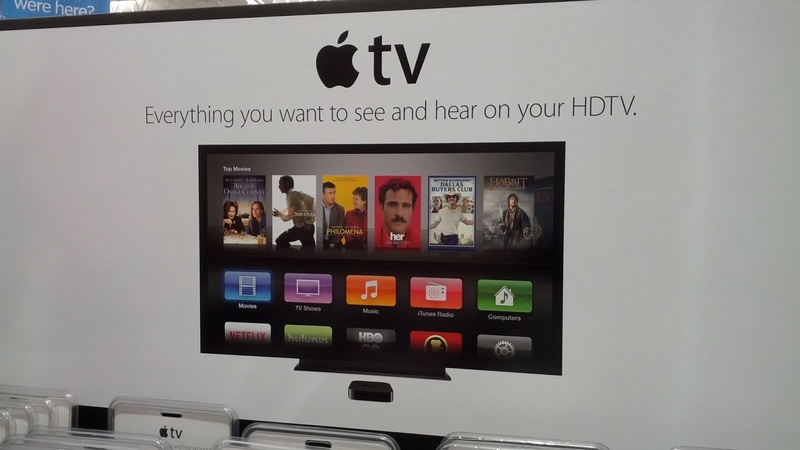 You can save money by cutting cable tv and just get an AppleTV for your household. You can use the AppleTV to stream movies from Netflix and shows from Hulu. 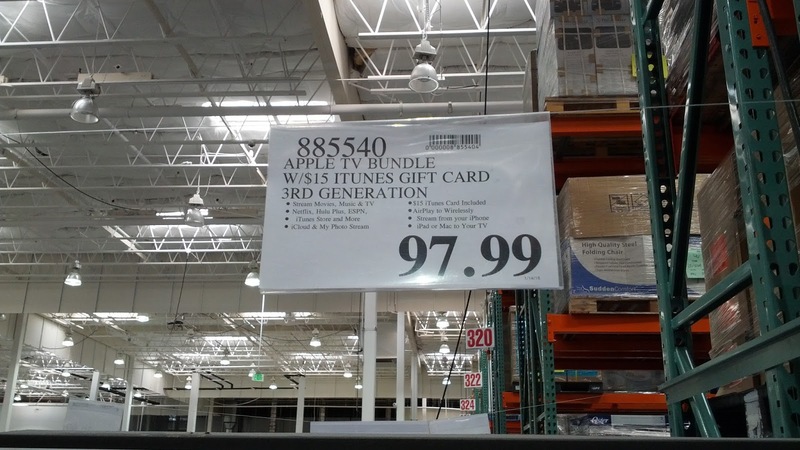 The Apple TV bundle even comes with a $15 iTunes gift card. Everything you want to see and hear on your HDTV. Apple TV gives you all the best movies, sports, TV shows, and more right on your TV. You can access content from Hulu Plus, Netflix, ESPN, HBO GO, and many other great providers. And with AirPlay, whatever is on your iPad, iPhone, or Mac appears on your tv.